Hazad and Soraya-Aoife were in the park. It was sunny and hot, about 25 degrees. They played some basketball and then some football. There were a lot of people on the team, but Hazad was the best player. His dream was to win football championship. Soraya-Aoife was listening to music on her headphones. She was listening to Justin Bieber. “Well I love playing football.” said Hazad while kicking the ball from foot to foot. 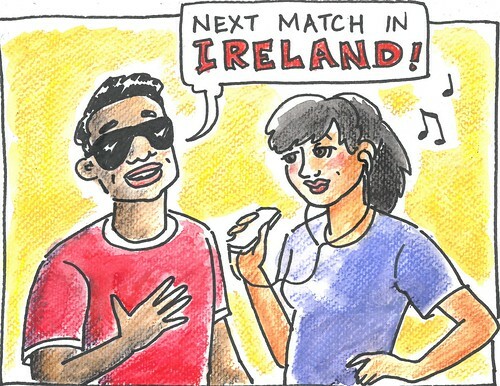 “My next match is in Ireland. It will be Chelsea vs. Arsenal.” He was feeling happy. 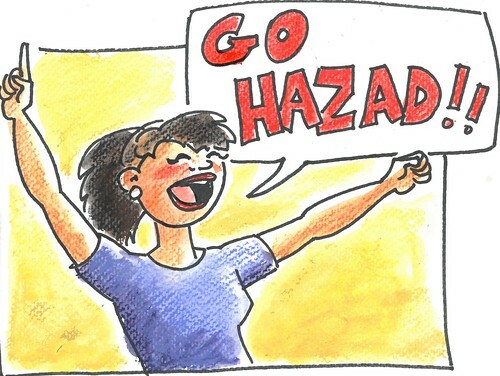 Later that year, in August, Hazad was getting ready for his match. He was eating healthy food, drinking water, and getting lots of sleep every night. He flew on a plane to Dublin and then went on a big bus to the stadium. The team were with him. Soraya-Aoife was also there. She wanted to look at him playing his match. At the stadium there were lots of people wearing Chelsea and Arsenal jerseys. They had scarves and flags and there was music playing. The referee blew the whistle. The football was in the middle. Hazad kicked it first and started running fast. He passed the ball to William his teammate. William crossed the ball back to Hazad and he shot for the goal. He scored a goal! Everyone was happy except for the other team, they were sad. The supporters were shouting and clapping and Soraya-Aoife smiled. She was very supportive of her friend.